I've never had good experiences with dating apps, since I’ve always found them very fake and suspicious. But since it’s 2018 and it’s always fun to meet new people, I try some new ones now and then! Happn is linked with Facebook and initiating real-life encounters through people who use the app in the same location. That turns out to be very handy since when people are too far away, it would be much more difficult to meet ☺ On every profile, you can see the number of times you likely encountered this person already. If you don't want to see a person on Happn anymore, you just have to click the cross button. Specific location based encounters is a great concept! As you might have already noticed, a lot of apps have those persons that keep on “popping up” to make a conversation. Mostly just a trick to get some money out of your sleeve by paying to read his “messages”. While on Tinder, you have to literally swipe a person's look, on Happn, this is not the case. Not that I look ugly or something, but still the concept doesn’t feel correct. 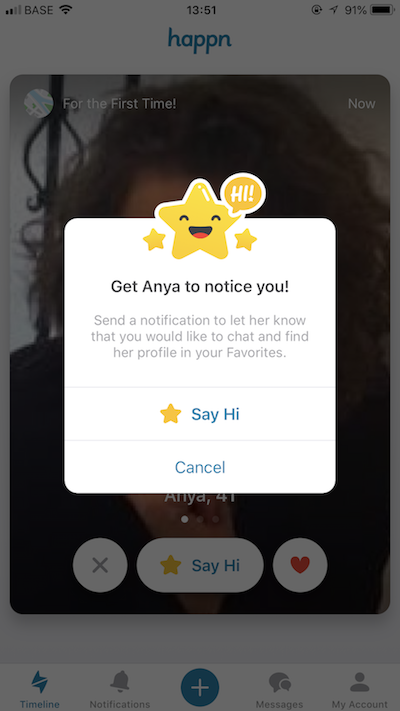 Happn encourages you to tap on the profile and to check the person out some more. By being on Tinder, I learned quickly that most of it’s users were seeing it as a rendez-vous app, asking me for one time dates, not mean’t to get to know each other better. They were just using it as a hookup app. Being a decent person, I wasn’t very pleased with this effect ☺ At Happn, this didn’t happen to me once! I couldn’t have been more satisfied with a dating app than with Happn ☺ I think you guys really need to give this one a go! You can register for free, so guys, go take a look if you have been looking for a decent dating app. Sign up here! 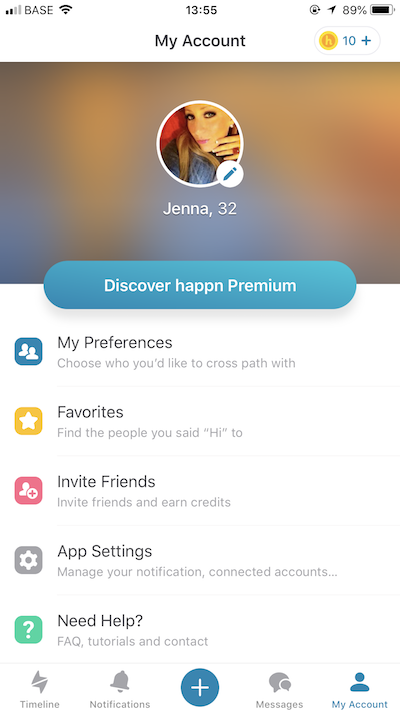 You can find out more about Happn here or @Happn_app. Any questions about this app? Comment below or contact me. Omg, wat een toofe app, ik ga er zeker eens op gaan zien en misschien wel eenprofiel aanmaken. Zit je er dan zelf ook op?